Ghana must attract investments from other African countries and vice versa, if the continent wants to see the true realisation of the Continental Free Trade Agreement (CFTA), Yofi Grant, Chief Executive Officer (CEO) of the Ghana Investment Promotion Centre (GIPC), has said. “If you think of intra Africa trade, it has not gone above 15percent and that is woefully inadequate. Yet, we trade with other regions and so having an arrangement where we can freely trade amongst ourselves is significant. 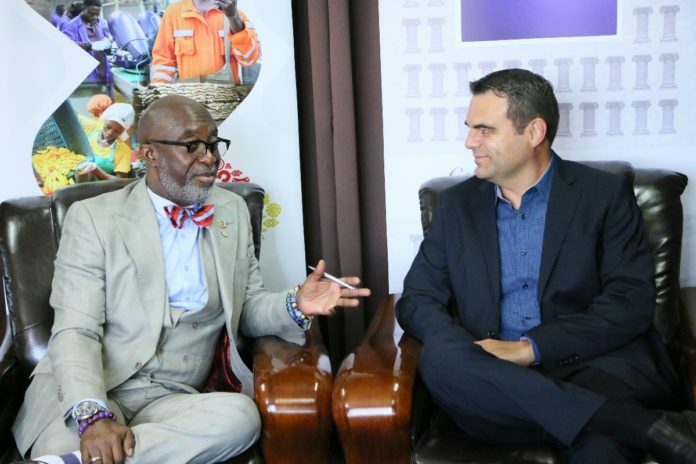 The CFTA will positively impact a lot of the countries in Africa because they don’t have to go out of the continent, it will be right here on the continent, and we can trade freely amongst ourselves and create a lot more value,” Mr. Grant said ahead of the second Ghanaian trade delegation’s visit to South Africa later this month. With intra-Africa trade lower than Africa’s trade with the USA, Europe and China, Mr. Grant sees the CFTA as the solution to the continent’s perennial problem of slow development. The Continental Free Trade Area (CFTA) is a continent-wide free-trade agreement brokered by the African Union (AU) and initially signed on by 44 of its 55 member states in Kigali, Rwanda on March 21, 2018. The agreement initially requires members to remove tariffs from 90percent of goods, allowing free access to commodities, goods, and services across the continent. If ratified, the agreement would result in the largest free-trade area in terms of participating countries since the formation of the World Trade Organization. Africa’s 11.3percent intra-regional trade records is the smallest share compared to other continents of the world. Europe’s intra-regional trade stands at 70percent, just like Asia’s. In North America the figure is 40percent. Africa’s regions have the worst indicators than the rest of the world in terms of cost of trade. In ECOWAS and SADC businessmen need 7.6 and 7.3 documents to export respectively whereas in the EU one needs just 4.5. Whiles you need 11.5 days to export in the EU, one need 27.6 and 31.2 days to export in ECOWAS and SADC respectively. The same situation applies to imports. “A lot of the investments in sub-Saharan Africa have been extraction based. Instead of just exporting raw cocoa beans or raw timber we want to add value. On the continent we look for partnerships that can enable us do that. There is enough business on the continent to develop some of these sectors. Ghana imports a lot of fruit juice from South Africa but we could actually do the juices here. 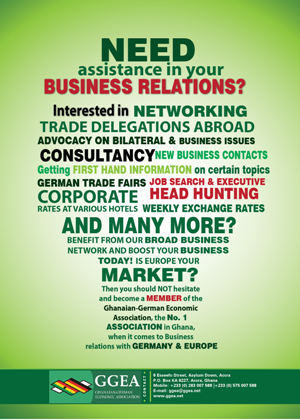 We need to take advantage of that where Ghana is competitively placed to establish businesses. We need to attract investors from southern Africa and South Africa to come and produce the juices here instead of just importing fully packaged product. These are some of the benefits you get from intra-continental trade. You actually develop more value to your exports for the continent than actually taking it outside the continent,” Mr. Grant noted.